This is the only known example of the Sphinx press. The patent for this design was issued to James Pages in 1870. The seal in the press is from a nursery in Columbus Georgia. 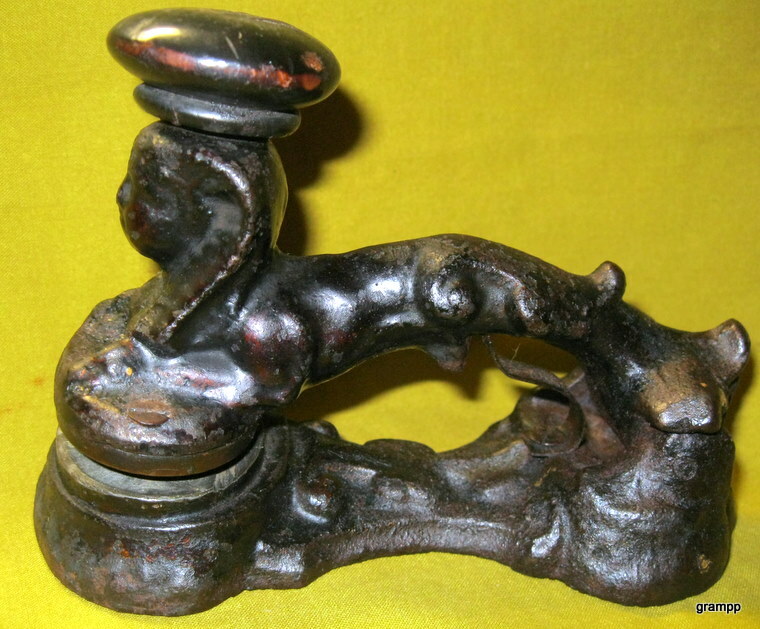 It is now known this press is not the body shown in the 1870's patent, as an example of that press was purchased at the 2013 auction of the Elli Buk estate.